Dinosaurs! With so many strange appendages and such great size, this group of land animals is among the most amazing and diverse ever to walk the planet. 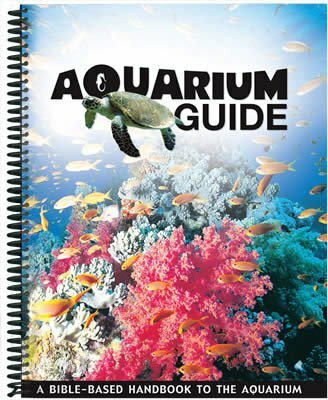 Their origin and extinction is packed with mystery and controversy. God’s Word answers one mystery about dinosaurs—where they came from. Genesis reveals that God created every kind of land animal on Day Six of creation ( Genesis 1:20–25 ; see Exodus 20:11 and John 1:3 ). Dinosaurs are just one of a myriad of wondrous beasts which were formed from the ground on the same day as Adam ( Genesis 2:19 ). According to the Bible, humans and dinosaurs originally lived at the same time. They were not separated by millions of years. We also know that dinosaurs were alive in Noah’s day because the Bible indicates that every kind of land animal went on the Ark ( Genesis 6:20 ). Furthermore, we find millions of dinosaurs buried by the Flood. So two of each kind were safe on board the Ark—at least smaller, representative specimens. God promised to save one pair of every kind of air-breathing, land-dwelling animal to repopulate the world after the Flood ( Genesis 6:19–20, 7:14–16 ). There are many biblical and extrabiblical clues that humans continued to have first-hand knowledge of dinosaurs after the Flood. 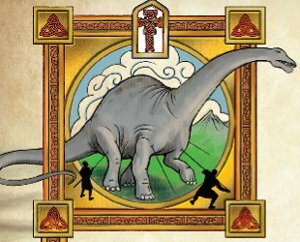 The Bible mentions several large, mysterious animals, although it does not describe them as dinosaurs because the term dinosauria wasn’t coined until 1841 by Richard Owen. The book of Job, written a few centuries after the Flood, leads us to believe that large dinosaurs were still alive in the lush river valleys of the Middle East. The book of Job, possibly written a few centuries after the Flood, uses the ancient name behemoth (bih-HEE-moth), whose original meaning has been lost. This is what appears to be ancient history’s best surviving description of a dinosaur. Speaking from a whirlwind in chapter 40 , God mentions His greatest land animal, behemoth, created to demonstrate His awesome power. The massive, plant-eating sauropods easily fit this description, including tails that sway “like a cedar.” Job’s account leads us to believe that large dinosaurs were still alive after the dispersion of nations at Babel. Since dinosaurs survived the Flood, why don’t we see them today? One basic problem for post-Flood dinosaurs was environmental change, making it more difficult to find the right types and sufficient quantities of food to sustain them. Dinosaurs eventually went extinct for the same basic causes that other plants and animals have gone extinct, including environmental change and human destruction. In the end, people probably killed some of them off for meat, fame, or self-defense. 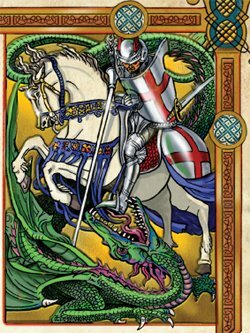 Outside of the Bible, ancient peoples around the world told of heroes who killed large, reptilian creatures. These accounts are almost as numerous as flood legends. The ancient Europeans, for example, called these monsters “dragons.” They appear in art, literature, and folklore. After researching thousands of books and ancient legends, I came to see that the most ancient stories were generally the least far-fetched and magical-sounding. These are often the most sober reports of creatures that closely match known types of dinosaurs. Generally the later legends (post-extinction) are spiced-up with bizarre mythology and superhuman deeds. A number of stories have come down to us from the mythology of ancient Sumer (the earliest civilization that arose in Babylonia). One of the best-preserved myths tells of the hero Gilgamesh, who decided to make a name for himself by traveling to a distant land to fell cedar trees for his city. He reached the place with fifty volunteers and discovered a huge dragon that devoured trees and reeds, was fearsome to see, and had terrible teeth. The record simply states that Gilgamesh killed the beast and cut off its head for a trophy. By Faith or By Sight? Did any of these ancient storytellers see live dinosaurs? It is fun to imagine that some did, but we cannot be sure which stories are based on real encounters, and which are merely stories passed down over many generations. One thing seems certain, however. It is highly unlikely that so many different people groups all over the world could dream up similar stories of beasts that closely match the animals now known as dinosaurs. We accept the biblical descriptions of behemoth by faith—and have no need of supporting evidence to accept God’s Word about this and other marvelous beasts (such as the fire-breathing leviathan of Job 41 ). The world’s legends about dragons are simply interesting clues that may provide additional insight into the ultimate demise of these wondrous creatures after the Flood. Job, the first book of the Bible? Descriptions of two fantastical creatures, known as behemoth and leviathan, are found in the book of Job. The author of this book was apparently Job himself, who lived in the land of Uz (see Job 1:1 ). Based on the book’s description of his wealth and family life, Job appears to have been a patriarch and a contemporary of Abraham. Thus, the book of Job is even older than Genesis, written many years later by Abraham’s descendant, Moses. Job was probably written in the first centuries after the worldwide Flood, soon after the Tower of Babel. If Jewish tradition is correct and we received the book through Moses, he may have received it during his years in the land of Midian (near Uz). The first eleven chapters of Genesis were probably written by Adam, Noah, the sons of Noah, and Terah, and later edited or assembled by Moses, together with his own historical writings, to form the book of Genesis. 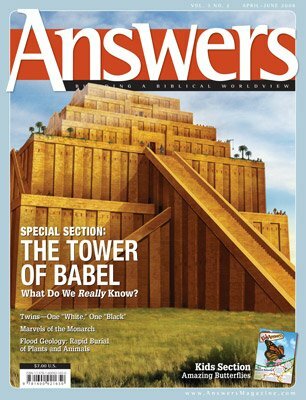 This issue focuses on the Tower of Babel and its impact on mankind, covering the event at Babel, skin shades, today’s languages, ape and human fossils, and much more. Don’t miss it!